One major advantage of the digital transformation and the massive adoption of the cloud, is the initiation of a serious discussion between business owners and executives from one side and their IT service providers from another side, for an outsourced IT services based on the best technology available today, at a reasonable price. Software as a service (SaaS) is one of the forms of cloud computing, a service model in which subscribers are provided with ready-made application software fully serviced by the provider. The vendor in this model manages the application, giving customers access to functions from client devices, usually through a mobile application or web browser. 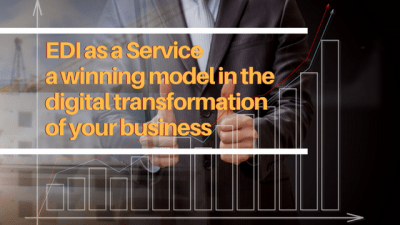 The main advantage of the SaaS model for the consumer is the absence of costs associated with the installation, updating, and maintenance of the equipment and software that is being used by the company. Updating and upgrading the application is quick and transparent for customers. As with all forms of cloud computing, customers do not pay for ownership of the software, but for renting it (i.e. using it through a mobile application or Web interface). Thus, as opposed to the classic software licensing scheme, the customer has relatively small recurring costs and does not need to invest heavily in the acquisition of the application program and the necessary Software and hardware for its deployment, and then maintain its performance, for the years to come. Many entrepreneurs realize that using Electronic Data Interchange (EDI) is a necessary condition to do successful business. Even in some cases, there is no choice, it is mandatory to be EDI compliant in order to trade with big channels like Walmart, Costco, Canadian Tire or Target. 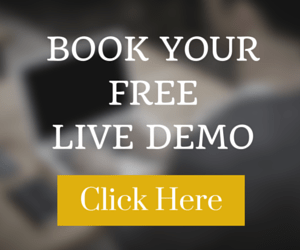 Businesses are looking for the most profitable and cost effective EDI solution to implement. 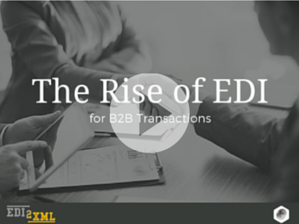 Read: EDI X12, EDIFACT, CSV, XML – Why is a conversion necessary? EDI benefits are obvious in business. One of the major advantages of EDI, is that it can quickly improve and develop an enterprise bottom line. If the company is EDI compliant, it will be able to expand its turnover without a significant influx of new employees. Certainly, another advantage of EDI is that it reduces human errors, increases efficiency and the quality of information. What are the advantages of using EDI as a Service? 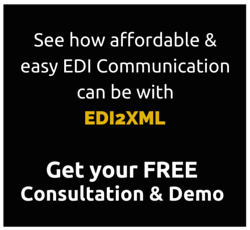 EDI2XML as a Service is an ideal solution for companies of all sizes and from various industries who seek to implement an edi solution to comply with their trading partners and want to simplify the entire integration of their EDI in their Systems and processes. With EDI2XML as a service, edi is converted to xml and from there, it can be transformed to any format that our client is capable of working with and integrate into his own CRM/ERP. There is no need for our clients to install any software or hardware. We manage the entire workflow of integration, from setting up new partner, configuring and testing EDI documents and certification with the trading partner. We can even go farther by integrating directly into our clients’ ERP or CRNM systems using certified connectors from the Manufacturer (i.e. SAP, JDE, Microsoft AX…). As a result, our clients have a quick and painless fully integrated solution, and continuous streamlined EDI and data flow between all partners. Whatever EDI converter you are looking for: edifact to xml, convert edi to xml online, convert x12 to xml online, etc. We have the best EDI Solution for your business. So, do you want to exchange electronic documents with customers, suppliers, and business partners, with a cost effective and optimal way? Then you have to check EDI2XML as a Services live. 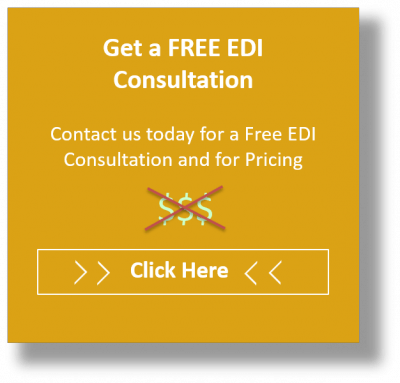 Contact us today for more information and free EDI Consultation.